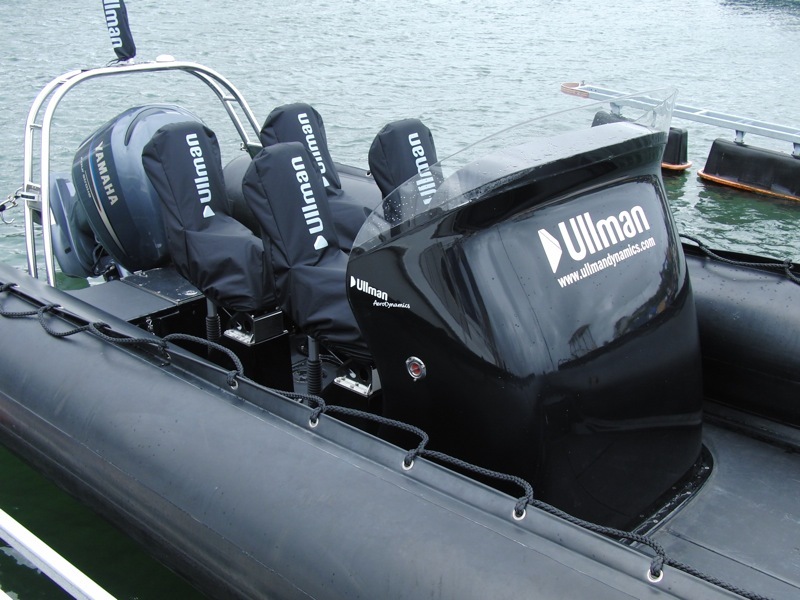 The Ullman Aerodynamic Console is designed and shaped to reduce air resistance while protecting the crew from wind and spray. 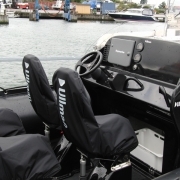 It is designed for optimal ergonomics in the most challenging operational conditions. 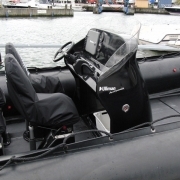 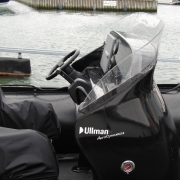 It can be used for port or starboard helm position and provides optimal positioning for steering wheel and throttle. 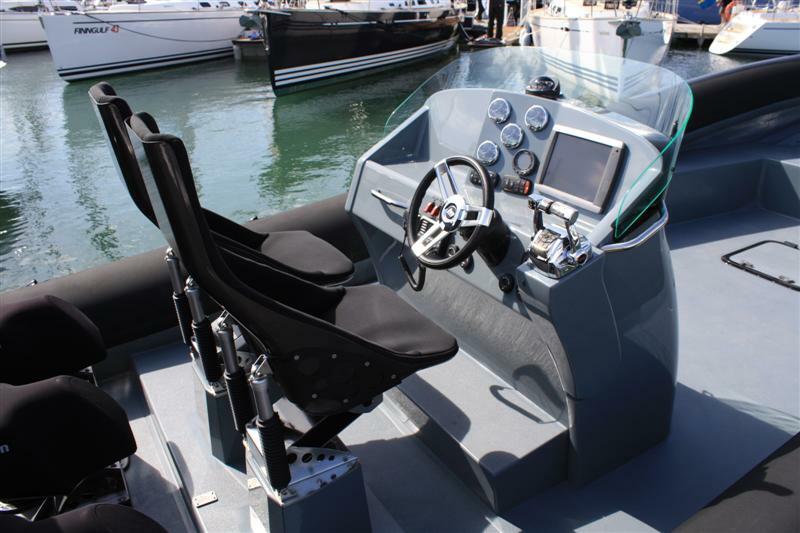 The console is built in GRP sandwich and is strategically reinforced to withstand high impacts. 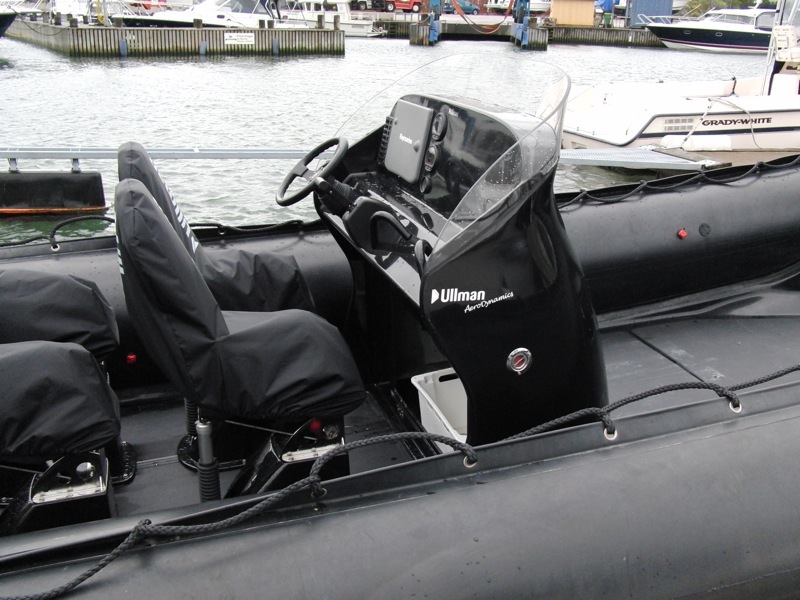 It is fitted with a 10 mm (3/8”) heavy-duty windscreen. 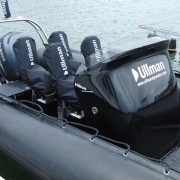 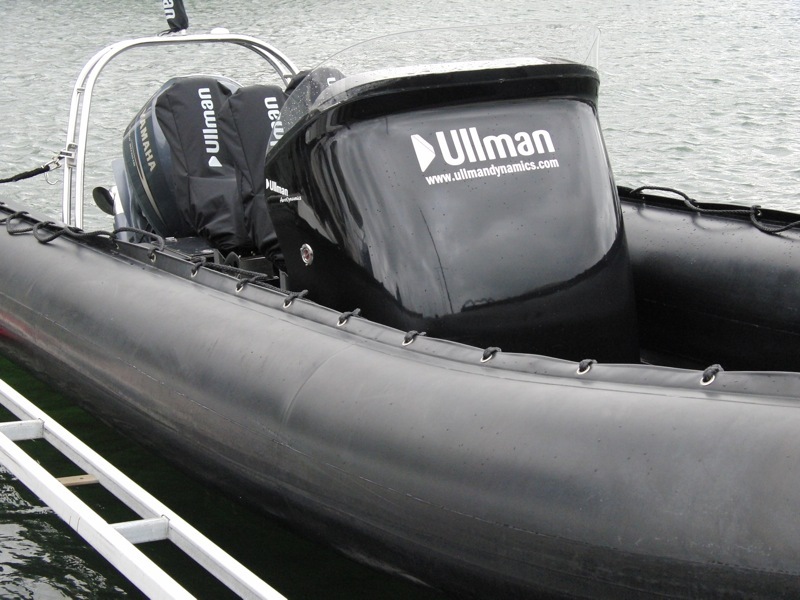 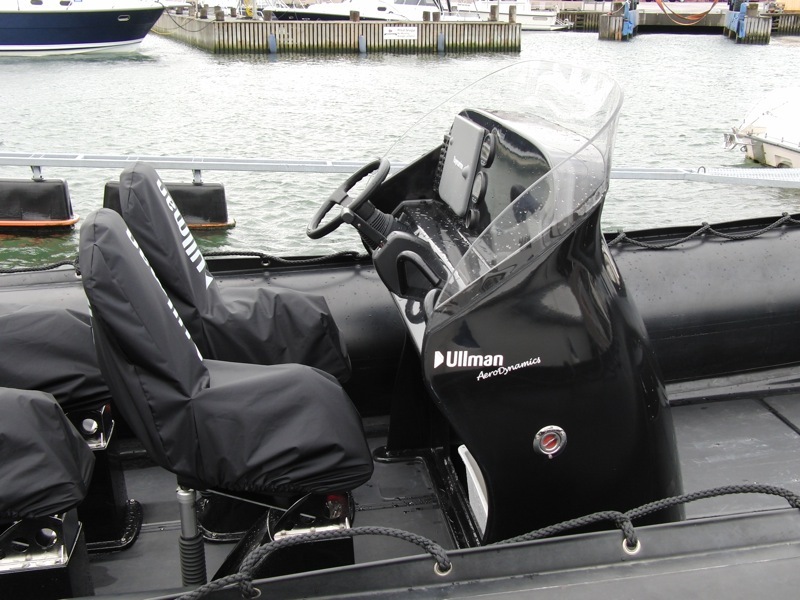 The Ullman Console can be used with a traditional steering wheel or with the Ullman Steering Bar System. 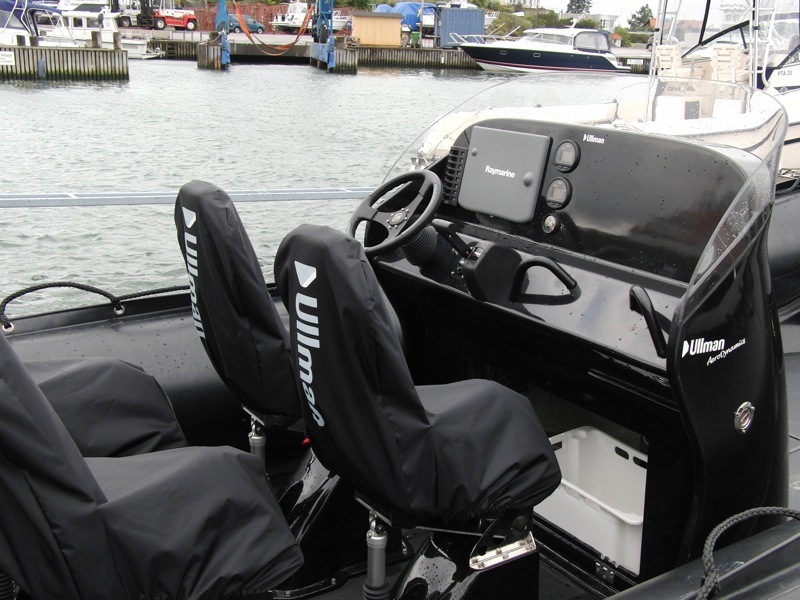 The dashboard holds twin 15 inch chart plotters. 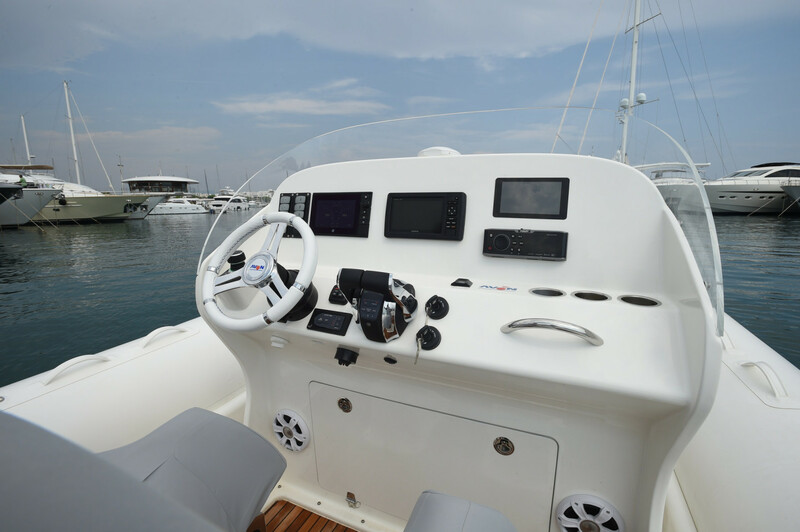 There is an easy-access hatch for stowage, installation of electronics and inspection. 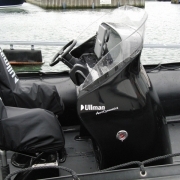 Ullman Aerodynamic Console optional accessories include grab handles and various locking mechanisms. 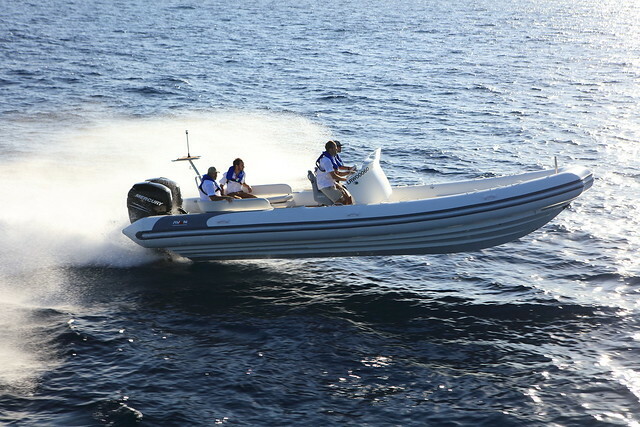 Standard colours are black or white. Customer specified gel coat colours are available to order. 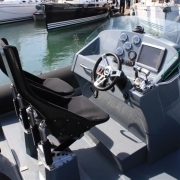 Designed for optimal ergonomics in the most challenging operational conditions. 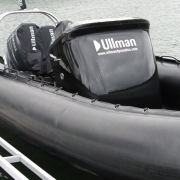 Aerodynamically shaped to reduce air resistance while protecting the crew from wind and spray. 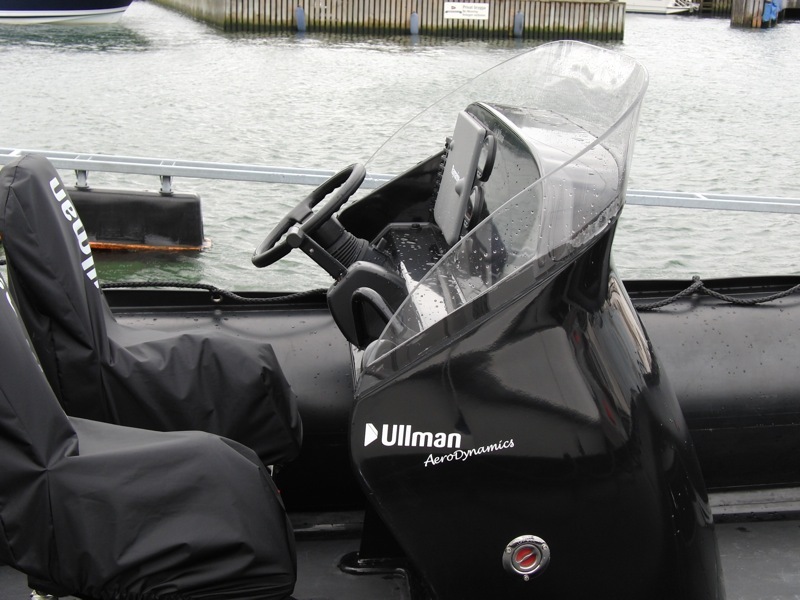 Windscreen deflects wind overhead –no need for goggles. 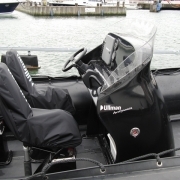 Strategically reinforced to withstand extreme impacts. 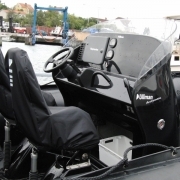 Easy-access hatch for stowage and inspection. 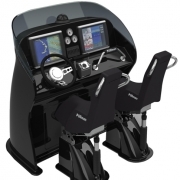 Provides optimal positioning for steering wheel and throttle. 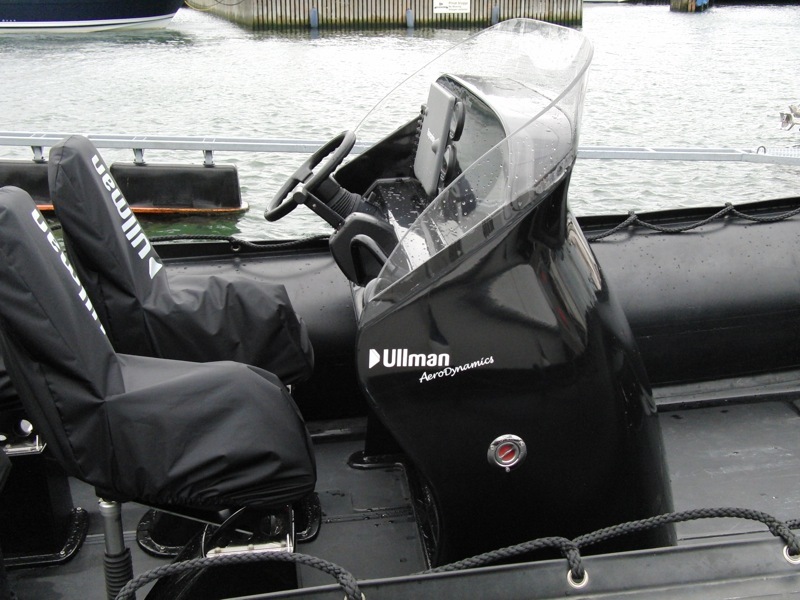 Port or starboard helm position. 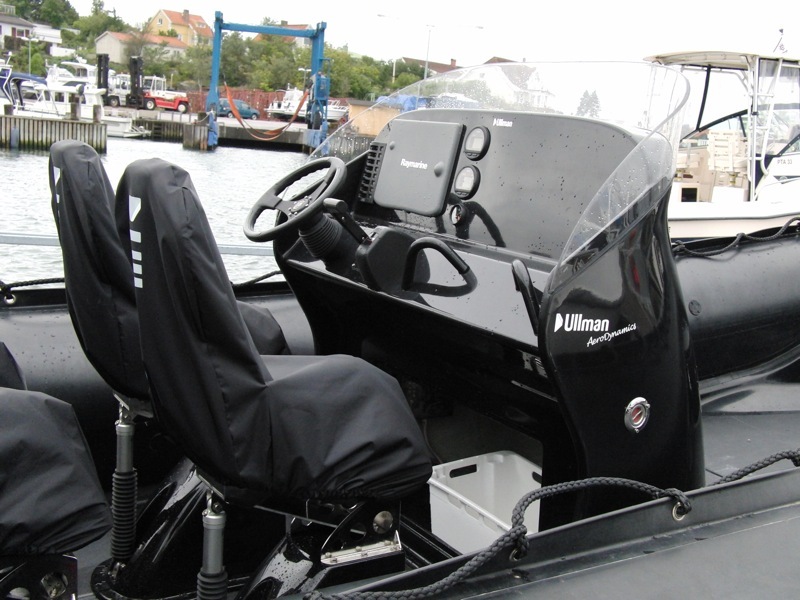 Dashboard holds twin 15 inch chart plotters.